Our eighth Drawn From Youth Exhibition will open at the Fylde Gallery, Lytham on Thursday 15 March and will run until 19 April. Drawn From Youth is an annual exhibition presented by The Arts Society Fylde. It shows exciting high quality artwork from A-Level Art students in schools and sixth form colleges across the Fylde Coast. The Exhibition is an extension of a major art competition held across the UK, offered by The Arts Society, our national parent body, working in conjunction with the Royal Society of British Artists (RBA). 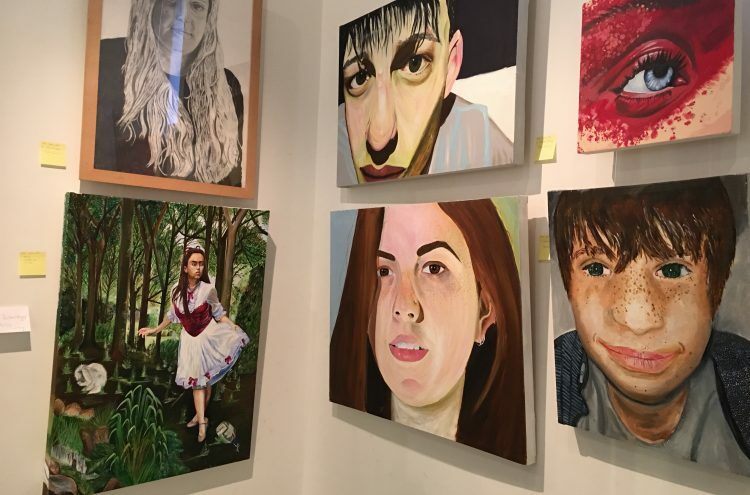 Twenty places are awarded for A-Level students to exhibit their artwork alongside prize-winning practicing artists at the RBA Annual Exhibition at the Mall Galleries in London. We are delighted to announce that, once again, two local students are RBA Winners. The two are Martha Walmsley, Cardinal Newman College, Preston and Robert Mills, AKS Independent School, Lytham St Annes. Congratulations to them both. Over eight years, The Arts Society Fylde has received 13 of these national Awards – a recognition of the artistic talent to be found in our local schools. As in previous years, participating students have been invited with their families, teachers and civic dignitaries to an Opening Preview event. Prizes will be presented for students’ artwork of outstanding merit and donations will be given to the two RBA winners towards the cost of transporting their work to London. Please do go along to see this inspiring exhibition and admire the exceptional talent of our young local students.